Diagnostic imaging processes involve exposure to radiation. Using the transparent and lightweight ClearView Radiation Shielding cylinder protects the physician’s, hospital staff’s or nuclear medicine technician’s whole body. The ClearView Radiation Shielding cylinder can be attached to medical equipment such as fluoroscopes for protection against radiation. The 360 degree of shielding coverage is ideal for shielding against incident and scattering radiation. Being a versatile tool, the cylinder can be used in the vertical position or horizontal position. The included pedestal with work platform turns ClearView Radiation Shield into a glove box type tool with a work surface ideal for shielding in nuclear medicine applications. The ClearView Radiation Shielding solution is housed in a double wall cast acrylic or impact resistant polycarbonate. The pedestal and work surface are constructed of polycarbonate. The construction and unique features of the design makes the ClearView cylinder ideal for many applications. 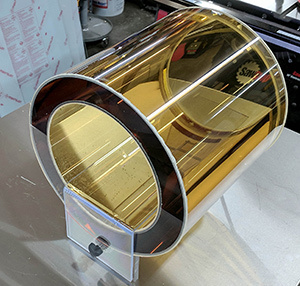 The ClearView cylinder for C Arm X-Ray Intensifier (XRII) shielding to target only the desired area and minimize scattering radiation to physician or practitioner. 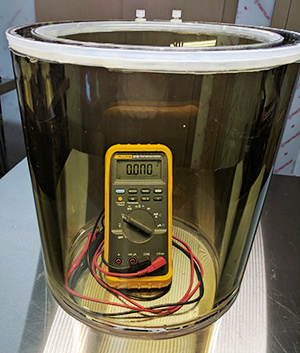 These would be shields for providing protection and visibility while performing inspections and Gas Chromatography and Mass Spectrometry processes. 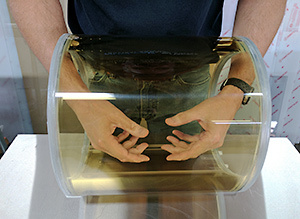 Shielding during manufacturing of PET isotopes such as Germanium – Gallium 67, F -18, etc. Shielding from radiation in storage vials while PET isotopes are transported or transferred into storage containers.